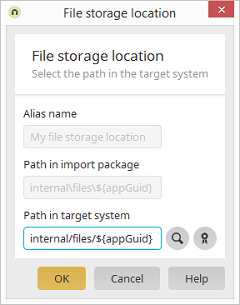 The future path of the file storage location is shown here. Opens a dialog where a directory can be selected. Enters the directory that is used by Intrexx as standard for storing files.